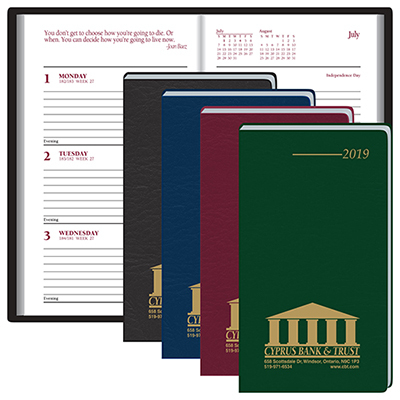 Gift promotional Classic Weekly Desk Planner 2019 for efficient brand promotion. 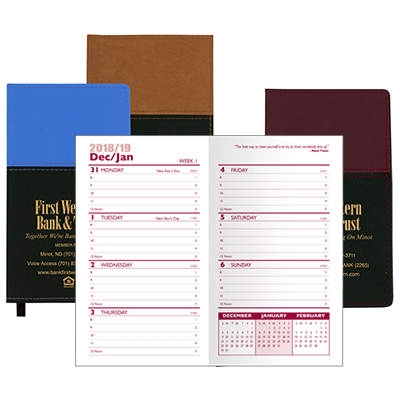 This promotional Classic Weekly Desk Planner will be a welcome addition to any office desk or study table. It features a daily memo space on each two-page spread. 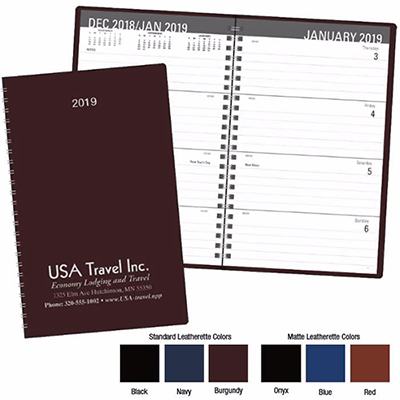 This weekly planner includes a business expense ledger and United States Postal information for the recipient’s convenience. Use it to launch a new advertising campaign for your brand! 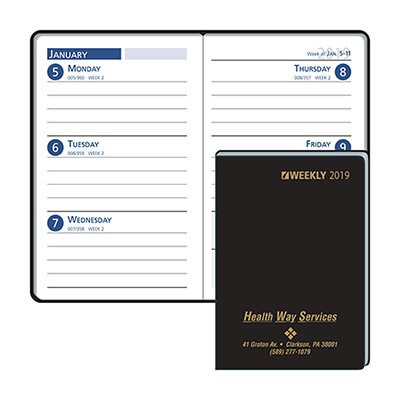 Place your order for these weekly planners today! "Ordered these last year. Will buy them for 2014 as well. " 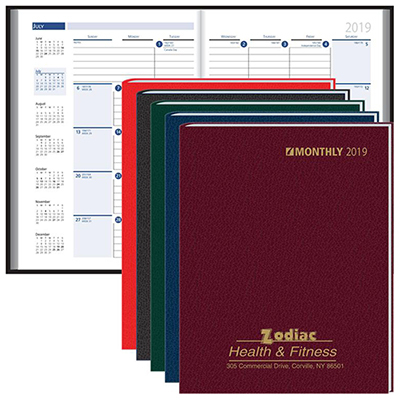 A functional planner as well as affordable!